Mum of Five Staying Sane: aden + anais partner with Stokke to bring stylish muslin bedding for the signature Stokke Sleepi crib cot. Available in mini and cot sizes. 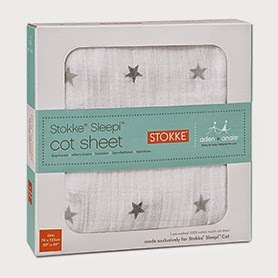 aden + anais partner with Stokke to bring stylish muslin bedding for the signature Stokke Sleepi crib cot. 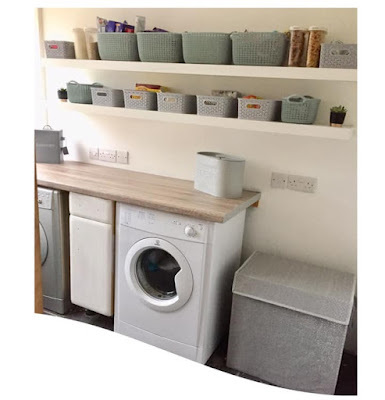 Available in mini and cot sizes. aden + anais have partnered with Stokke, the designers of innovative and sustainable baby products, on a collection of cot sheets that offers stylish bedding made exclusively for the uniquely shaped oval Stokke Sleepi cot. The collection includes a selection of aden + anais designs which are wonderfully soft and the ultimate in breathability. Available for the shaped oval Stokke Sleepi Mini. Style, comfort and functionality comes together with the 100% cotton muslin fitted cot sheets. In the Twinkle, Lovely and Night Sky designs they are warm in winter and cool in summer with a breathable open weave allowing for airflow. 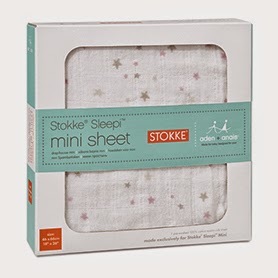 Tailored to fit snugly to the Stokke mattress and a comfy fabric that gets softer with each wash.
Stokke mini sheets are RRP £22 and the Stokke cot sheets are rrp £32. Approx. 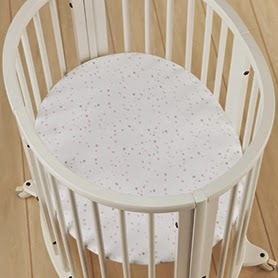 measurements of the mini mattress are 75cm x 58cm, measurements of the cot mattress are 125cm x 74cm. Available now from the aden + anais website.